The jury called it “self-defense” but it was a case of cold-blooded murder as far as I’m concerned. I’m talking about the 1988 killing of Frank Goodish, known to wrestling fans as “Bruiser Brody.” He was stabbed in a locker room on the night of a big wrestling event then later died at a hospital. 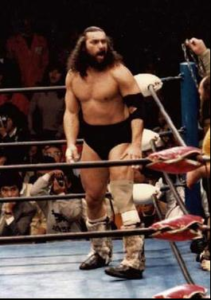 Brody was a beloved wrestler in both the USA and Japan throughout the 1970s and 1980s. For decades, fans wanted to know the truth behind his death. In the Viceland documentary The Killing of Bruiser Brody, we finally get the story in all its tragic and gruesome details. It’s a national television station owned by Vice Media. It launched on February 29, 2016 and is described as a lifestyle-oriented documentary and reality series aimed at Millennials. I believe Viceland has a broader appeal than that. Take The Killing of Bruiser Brody, for example. Brody was a wrestling star in the late 1970s to the late 1980s, which places him firmly in Generation X territory. Nevertheless, the folks at Viceland create documentaries that are so compelling that they appeal to people of all ages. I stumbled upon The Killing of Bruiser Brody while flipping through the channel guide. Being a wrestling fan since the early 1980s, I remember watching many of his matches. They were insane! A wild barbarian of a man in the ring, fans loved him… or loved to hate him. Either way, the intensity Brody brought to his match only added to Brody’s popularity. At the height of his career, he was huge with American and Japanese wrestling fans. I remember hearing about his death on July 17, 1988. I was watching less pro wrestling by that time but I’d always thought the circumstances surrounding it were suspicious. Like everything pro wrestling-related at that time, the details seemed shrouded behind a veil of secrecy. Since those were the days before the internet, there was no quick or easy way to research what happened. I ultimately forgot about it and enjoyed my first summer as a high school graduate. … Nearly 31 years later, Viceland lays bare this tragic moment in professional wrestling. The documentary is narrated by wrestling legend Mick Foley, aka Cactus Jack, and features interviews with other pro wrestlers. These men – Tony “Mr. USA” Atlas, “Dirty” Dutch Mantel, and Abdullah the Butcher – were there the night Brody was stabbed. The film also includes Brody’s wife, Barbara, and son Geoff. It was heartbreaking to hear that young man talk about a father he never got the chance to know. The Killing of Bruiser Brody is a touching and tragic tribute to a phenomenal wrestler. It reaffirms his endearing legacy and strongly hints that justice wasn’t served in his tragic killing. (When I hear Mr. Atlas’s accounts of that night, Brody’s death becomes a case of premeditated murder to me.) I’m not the only one who feels this way. The show’s creators didn’t drill down into any possible theories about this, but there are enough clues for viewers to draw their own conclusions. Would you like to add some national channels to your lineup, you should consider getting Sling TV. It delivers a variety of popular national channels including Viceland, and it’s compatible with a variety of streaming devices. Nearly anyone can stream Sling TV programming, but I believe it’s especially great for cord-cutters like you. Why? Because you get to add Sling’s many national channels for much less than your local cable company charges for them. Between Sling and all those free local TV channels, you’ll have plenty to watch. That’s right, we’re a Sling dealer. We can match you with a Sling TV package that fits your needs, lifestyle, and budget. Speaking of budgets, Solid Signal offers a variety of deals and promotions designed to help you save big on a Sling package and get many channels. With the money you save from Solid Signal, you can also add one or more premium or a la carte channels such as Starz, Epix, and Showtime. If this is something that you’d like, we can help you with that, too. While Sling can be for anyone, we really recommend this streaming service to cord-cutters. 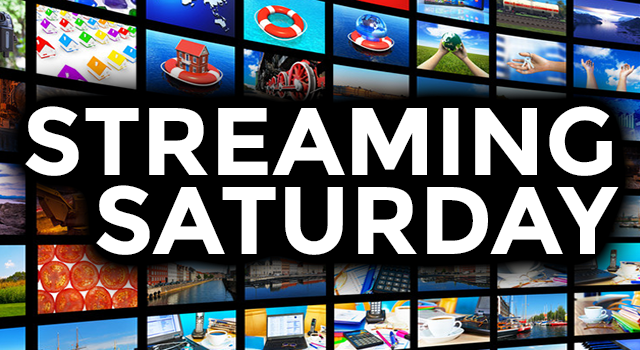 This streaming service gives you 34-56 national channels, depending which Sling package you choose. Cord-cutters get a huge variety of free local TV channels and sub-channels. Sling adds to their menu with a variety of popular national channels without the expensive monthly rates you get from cable TV. If you’d like to know more about Sling, Solid Signal’s tech team is happy to answer your questions. Call us at 877-312-4547.